Pure Lemon Oil Applied to Apples for Children at School? Please Stop! | Nascent Naturals Inc.
Home Children and Essential OIls Pure Lemon Oil Applied to Apples for Children at School? Please Stop! A concerned customer sent me an email indicating that a few people at the school which her grandson attends, are taking it upon themselves to put pure lemon essential (essence) oil on sliced apples which they are serving to the children in the cafeteria. This is a school fostering kindergarten to grade 7. The lemon oil used is from a company which I will not name, but the rationale of those using it for this purpose is that they think it “is the purest and best in the world” so it is “safe”. That is a load of nonsense so more on this one later. I know what you are probably thinking; what’s the big deal with a few drops of lemon oil on some apples? Well, this is a great opportunity to draw attention to a clear example of a pointless, ineffective and potentially dangerous use of essential oils which can then be a lesson for safety with all essential oils, especially children. I believe that part of the issue is the lack of understanding between lemon oil (cold pressed from the rind of the fruit) and the juice from the pulp. These two substances are completely different in every way despite coming from the same fruit. 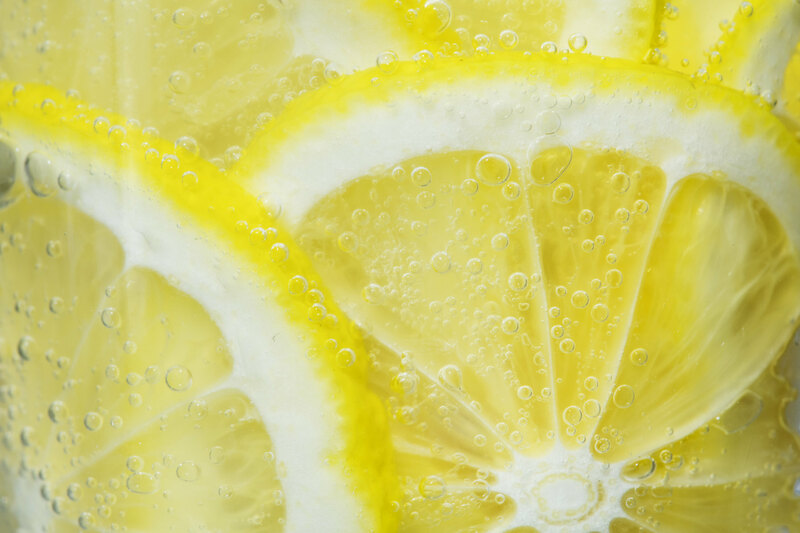 Cold pressed lemon oil from the rind of the fruit is almost entirely composed of a chemical group called monoterpenes, with the dominant constituent being limonene. This alone can comprise 65-80% of the oil. It doesn’t matter what country it comes from or whether it is certified organic, fair trade or any other claim of exceptional quality. This is a basic characteristic of all lemon oils extracted from the rind. While limonene is used in the cosmetic, food and flavour industry, it is done so with dilutions of less than 2 % in most cases. Limonenes also have industrial applications as solvents to dissolve many organic and non-organic substances such as dirt, grime, adhesives and some plastics. In pure form they will even dissolve Styrofoam. 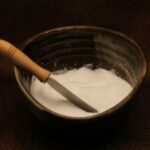 This is where heavier concentrations sometimes of 50-70% are used as these products are not intended for topical or internal use. Furniture polish, “goo gone” removers and “citrus glo” type products are all made with orange and lemon oil because of high limonene content. If you don’t believe me, do a search on any lemon oil MSDS or safety instructions for such products and you will see the same cautions and hazards from multiple sources about protocols for accidental applications to the skin and warnings to not ingest. 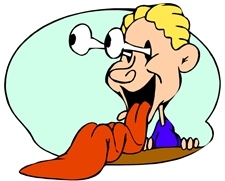 Anything that will dissolve inorganic material will also dissolve or damage organic material such as the delicate skin on the tongue and esophagus. Still think it is a good idea to allow children to lick and ingest apple slices with pure lemon oil? On the other hand, the juice or pulp from lemon or any citrus will be mostly water (up to 98%) with trace amounts of citric or ascorbic acid otherwise known as vitamin C. This is traditionally what people have used to preserve other fruits like apples and it is still the most effective. Following is the list of reasons why people have justified using lemon oil this way and my response. Reason 1# – To disinfect the apple. If you just sliced it recently, and haven’t dropped it on the floor of your bathroom, there is no need to disinfect. Apples don’t require refrigeration either. The amount of essential oil that would have to be spread on each apple slice would now become labor intensive or cost prohibitive. See the next reason for better options. Reason #2 – To stop the apple slices from turning “brown”. I would like to inform you that the chemistry of pure lemon oil isn’t effective to stop this process. The best way to stop fruit from turning brown is with citric acid. Lemon oil does not contain any of this stuff. However the juice of the lemon does. You can soak the apple in some juice, a weak citric acid solution, or make a spray application which will do the job, be much safer and less expensive. Reason # 3 – To provide added nutrition. Once again, if you believe this, I must burst your tiny essential oil knowledge bubble. Lemon oil contains no vitamins, nutrients, enzymes, proteins or anything else that may provide nourishment. The juice on the other hand will add some vitamin C in addition to keeping them fresh. Reason # 4 – For Enhanced Flavour. 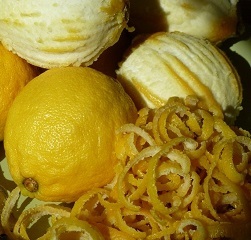 While lemon oil is used in many foods, the grades used are usually rectified or processed to remove other elements of the pure oil that may be undesirable. Completely pure lemon oil (which is what these companies claim to use) is not as tasty as you may think. Have you ever bitten into a lemon rind before? Here’s a radical thought; why not just let the kids enjoy the taste of the apple? Reason # 5 – To improve a child’s immune system. Isn’t that what the purpose of eating fresh fruits like apple are supposed to do? An apple a day keeps the Doctor away… There are other ways to use essential oils to boost immune systems in children that are effective and safe. One last consideration; the potential for long term sensitization to essential oils rises dramatically when applied to the skin undiluted. In this case, if a child were to develop a reaction to limonene, the consequences could be disastrous since limonene is used in thousands of products. Our bodies don’t discern what source it comes from, it just reacts. I believe that some of these people have good intentions and are just trying to make healthy choices for their children, but this in my opinion is not one of them. In a time where allergies to nuts and many other substances has several foods banned from school, I can’t believe that this is sanctioned in any way by school boards and should be brought to their attention. Further to that I feel that it is a ploy on the part of some essential oil companies to create more uses so you will buy more oils. When considering the use of any essential oils for children, you should have some proper training or consult a professional well versed and experienced in the use of oils, not someone who has been in the business for about 15 minutes. If you still intend to keep doing this sort of thing, I hope you have good malpractice and product liability insurance. Oh wait, most insurances won’t cover you for such irresponsible and dangerous use of essential oils. Good luck sunshine! I will post a more detailed article on citrus oils and using oils in food later. I just had to get a rant out about this one. © Nascent Naturals Inc. 2017 All rights reserved. Thank you Sandy for this very important and timely “Rant”. I am getting more and more people asking me about ingesting essential oils in their water, etc on a daily basis, and I have stood firm in my response “absolutely not”. There are so many other wonderful ways to use essential oils, why risk it. Thanks again Sandy, I love your straight forwardness, keep up the rants. 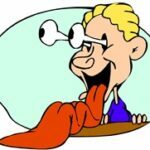 I found your company’s website and blog when looking up information about Geranium essential oil repelling ticks, then had to read this blog entry about using Lemon essential oil on apple slices. I love that you are so sassy and sarcastic in your writing yet really make some logical and even brilliant points along the way. I will definitely be reading more (if not all) of your interesting articles. Thank you! Thank you for you positive reply. Nice to see that you enjoy my writing style and benefit from the info. That is my objective! Love the straight truth Sandy!